Feminists are not strong women as they suppose. They are weak. Strong women don’t get offended at every little thing that disagrees with what they believe. “Modern feminists are afraid of life. They are afraid of differences of opinion, and especially afraid of men.”* Feminists women don’t have the strength to be submissive to their husband. It takes strength to obey our husbands and give up our desires for our husbands and allow them to be the leader of our home. Feminine, godly women have this strength from the Lord and they build up their home instead of tear it down as many are doing today. 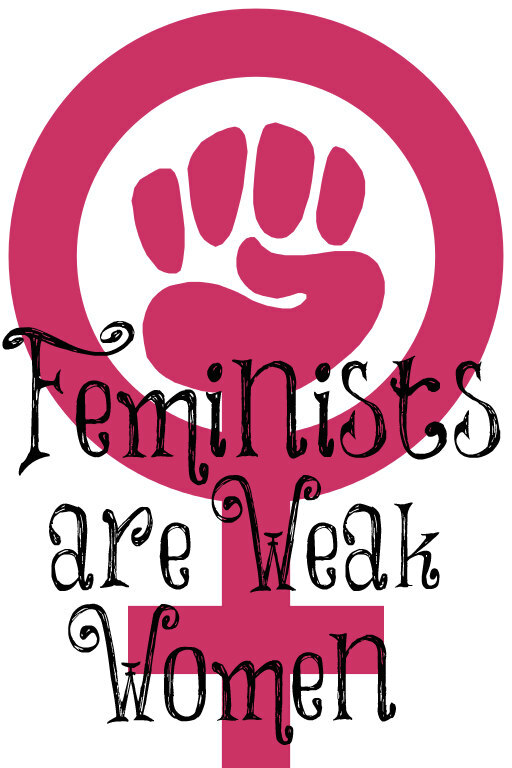 Dennis Prager wrote a brilliant piece in the National Review called Feminism Make Women Weak. My favorite part of the entire article was the last paragraph. “You want to know what women are strong? Here’s an example: Any young woman who announced in a college class that as much as she may want a career, she is more interested in finding a good man to marry. In other words, any young woman who announced that she isn’t a feminist.” I wanted to stand up and shout, “YES!” God clearly states what godly young women will most likely want in life besides bringing glory to Him: to marry, bear children, and guide the home. I wasn’t the least bit ashamed to tell people that I wanted to marry and have children when I was young. I had no interest in a career. “Well, what if you never meet a man who wants to marry you?” I was asked. I will pray and pray that the Lord will give me my heart’s desire. If He does not, I will glorify Him some other way, however, the majority of women do get married and this is a good thing since God created men to need a help meet. 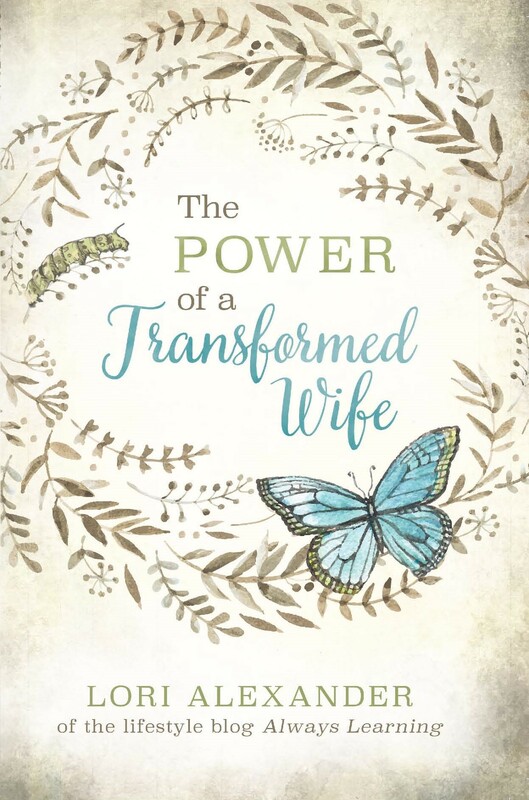 “Neither was the man created for the woman; but the woman for the man” (1 Corinthians 11:9) Women have forgotten what their purpose in marriage is supposed to be. They forget they are their husband’s help meet and instead, expect their husbands to make them happy. “Most feminists have conflated equality and sameness. And that’s a huge mistake; the sexes are equal, but they are different.”* I don’t want to be the same as men. I want to be a woman, just the way the Lord has made me. Feminine women should understand the differences between the sexes. Men struggle with their sexual nature and this doesn’t make women better and men perverts. No, this is just the way they are. “The male desire to touch the bodies of just about every woman they are attracted to is — trigger warning here — normal. It has nothing to do with hatred of women or viewing women as unequal.”* Strong women can handle this knowledge and instead of being offended by it, we sympathize with men in their struggle knowing that our struggle is with our desire to control our husbands and with our emotional nature. Yes, we are different and we have different struggles. It shouldn’t offend us when we find out that men love women’s bodies. Good, mature men control their sexual nature just as good, mature women control their need to control their husbands and their emotional nature. As feminine women, our strength isn’t in who we are or the fact that we are feminine, it comes from knowing who we are in Christ and loving the way He created us to be and the role He has given us to do. True strength isn’t fighting this but welcoming it and becoming women with gentle and quiet spirits who dress modestly, love and obey our husband, love our children, are good, chaste, discreet, sober, and keepers at home. Now, this right here is a definition of a strong woman. Her strength comes from the Lord because she could never do all of this on her own. Yes, yes, yes. And yes again. I tell my girls that it takes strength for a good woman to say, “OK, we’ll do that your way, honey,” and, “I will,” and, “Yes, dear, right away,” and, “Of course I’ll do that for you.” A strong woman keeps her mouth shut and lets her actions speak without words. It takes a strong woman to say no to nagging, murmuring and complaining. A strong woman smiles when she is about to reach the boiling point. It takes a strong woman to sing with a joyful heart when there’s a whole lot she could mourn about. A strong woman feels real deep down inside that anywhere her good man is, that’s home. My excellent husband is a strong man, and he deserves an excellent wife. I AM HIS STRONG WOMAN. Beautifully written, Kelley! We are commanded to be sober-minded, to think and act biblically, not according to what our culture is doing or what we feel like doing. I appreciate how you stand up for us “feminine women”! Keep teaching what God wants all women to understand and be like. I sure will, Christine, as long as the Lord wills! Oh my gosh, you just hit it all on the head. On my new website, Be That Woman, that I just recently began I have three pages: The Woman Needed, The Woman Fearless, and The Woman Strong. On each of these pages, I touch on exactly some of everything you’ve said here. And it is such a confirmation to see someone else saying it. I really enjoyed this article. And I am definitely sharing to my FB Page for the ladies there. Thanks so much! You’re welcome, Erica, and it’s something that needs to be taught to women today because it’s so easy for them to be swayed with the culture’s lies swirling around them all the time. Lovely post! I’m proud to be feminine, not feminist. You stated that “they forget they are their husbands helpmeet and expect their husbands to make them happy”. I am slowly discovering that as we are feminine and submissive, our husbands *want* to make us happy. It’s taking me a while to learn this, because my current husband is very different to my first husband, but the more I submit and be feminine, the happier he makes me! Marjorie, it’s because the more we demand our way and try to force people to please us, the more they will pull away from us and have no desire to please and the opposite is true as you are experiencing, because we reap what we sow. Loved this! Its a lot more difficult to lay aside your own desires and to reign in your emotioñs. But it comes with enormous blessings. When ruled by your own emotions, it leaves a trail of destruction behind you. I really agree with your point of view here and it is much needed as among the younger ladies, Christians even, it is cool to be a feminist. Hopefully they will listen to reason and be won over . However, my experience with more militant feminists is that they have been in some way weakened, compromised, wounded, betrayed by a man somewhere along the way. Yes, they are afraid, and it causes them to be defensive and in some cases really hostile, like a cornered, wounded animal. I have found that prayer and demonstrated acts of love toward them are more effective than argument. It just made me think that this is the feminist movement. They just don’t want to have equality with a man, they want to take their position as head. I have seen over the last 25 to 30 years from women in my family, and in churches I have gone too. Men will joke about it and laugh it off, but inside they are seething or feeling small, when their wive’s should be making them feel like kings. In the book, Love and Respect by Emerson Eggerich, he states that if she shows him respect, he shows her love more easily. And if if he shows her love, she will show him respect more easily. It goes hand in hand. When a wife is too busy trying to get her way, where is the respect? That is something they some, not all, but some women just don’t get. I know this from experience. Anyway, sorry for this being so long, but I just had a very hard discussion about this kind of topic with a couple people. So I had a lot to say. But great post Lori. Do you feel that feminism is a threat to godly marriages? here is a quote that was on FB and wondered what you thought about it. That is not a feminist misunderstanding, equal means the same. They are seeking exactly what they say, they want to be the same. We are conflating being ‘equal’ with being ‘of equal value’ and in attempting to accomplish the former we are failing at the latter.